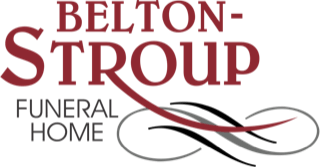 Belton-Stroup Funeral Home, Inc., is proud to be locally owned. Local ownership enables us to be receptive to the needs of the families in our community. Local ownership allows us to respond to your individual needs and special requests without seeking approval from corporate headquarters, procedure manuals, or a board of directors. Your requests and total satisfaction are among the goals of Belton-Stroup Funeral Home. We understand that our business is to serve you well. Local ownership means that using our services supports your community. Our dedication to the community is reflected in our involvement and contributions to area schools, churches, businesses, and civic activities. It is very important to us to not only fulfill your current needs but also to build a relationship with your family. We have a long-term commitment to this community — this is where we live. When you need us, we'll be here. When a family suffers the loss of a loved one, it is comforting to know your funeral director. We take every opportunity to be involved in our community and to create the kind of personal relationships that will allow us to provide the individualized, sensitive service your family deserves. If you're like most people, whether you're buying a car or hiring a lawn service, you find it's nicer to work with a small company. You like the flexibility and the personal service you can get when you can talk directly with the owner. We feel the same way.